Is Self Storage the solution for you? Self storage is convenient and cost-effective. The amount of space can be increased or decreased as required. Self Storage provides convenient easy access, with no appointment necessary, for short or long-term storage. Self Storage is the perfect partner for the changing business environment of today. When businesses grow, relocate, downsize, expand, or restructure their operations, they can find themselves restricted by lack of appropriate space to suit their needs. Self Storage helps business to be flexible and maintain that competitive edge. Residential storage solutions assist you with all your moving or de-cluttering needs. Moving or de-cluttering your home can be stressful, but our storage facility makes it simple to store your belongings in a secure place. Discuss your needs with a consultant at the Self Storage centre to ensure you only pay for what you actually require. An efficiently packed small space will cost less than a larger unit. However, if you need to access your storage space frequently, a well-organised larger space with racks and archive boxes may be more convenient for you. 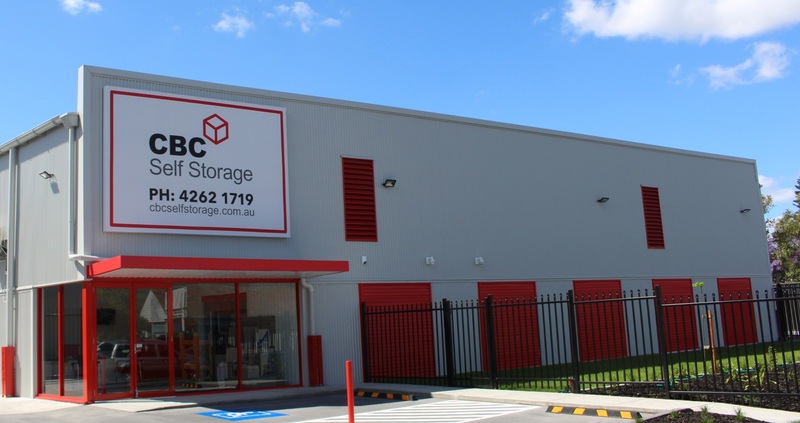 Many Self Storage centres offer other services for business clients; including photo copying, use of facsimile machine, meeting rooms and climate-controlled units, just to mention a few. Common sense, State and Federal laws determine what can and can’t be stored. However, under your Self Storage Agreement you can’t store hazardous, dangerous, illegal, stolen, perishable, environmentally harmful goods or explosive goods. The goods you have in a self storage space are yours and remain your sole responsibility. You should always have them covered by insurance. Your goods are not insured by the Self Storage centre. Check with your insurance provider to see if your cover has provision for items in storage- you may already be covered. If not, your Self Storage consultant should be able to assist you with the provision of insurance cover. Use labelled archive boxes or packing cartons to save space, simplify retrieval and protect contents. Use packing to fill empty pockets in cartons. Avoid packing fragile items with books, don’t overload. Pack lighter cartons on top of heavier ones to prevent damage. By erecting free standing shelving you can save on space and make the storage and retrieval of your goods very effective. All fabric items need to be clean and free of anything that could attract pests. Most Self Storage centres have cartons, packing materials and other accessories available to protect your goods. If you’ve kept the original boxes and packing materials, we recommend you reuse them. However, bubble-wrap and good quality cartons will also do the job. Remember to use packing material to line the top and bottom, and to pack the gaps to protect the equipment and prevent movement. All electrical equipment needs to be thoroughly cleaned and dry. Most computers have ‘self-parking heads’, but if you’re unsure about it, refer to the manufacturer‘s manual or consult your retailer,if storing for more than six months. Equipment with sealing doors, like fridges and freezers, should be stored with the door slightly ajar. Metal items need to be clean and dry. Protect rust-prone items by wiping over with a rag impregnated with a few drops of machine oil. Large, heavy items you can stack other goods on are generally stored at the back. Work forward and upwards with lighter, fragile items. Store goods you’ll need to access at the front of the space, or leave a walkway to the rear if necessary. Using professional storage cartons and accessories gives maximum protection and makes stowing and unpacking easier and safer. Protect these items with packing material like bubble wrap and store them on their edges. If you’ve kept the original boxes and packing materials, reuse them. Otherwise, bubble wrap items individually and store them in sealed cartons, remembering to fill all gaps with packing to protect and prevent movement. Secure turntables and tone arms of record players to prevent damage and pack records and CDs on their edge. Drain fuel and oil to reduce the risk of damage to other goods and avoid a possible fire hazard. Please place old carpet or cardboard under item. Wrap silverware in non-acid tissue paper or store in plastic bags to reduce tarnishing. Wipe chrome and cast iron items in a cloth impregnated with a little machine oil to retard rust. We recommend removal of batteries to avoid damage from leaking acids. Again, if you’ve kept the original boxes and packing materials we recommend you reuse them. However, bubble wrap and good quality cartons will also do the job. Remember to use packing material to line the top and bottom, and to pack the gaps to protect the equipment and prevent movement. Helping you to make the most of your storage space. We’re all individual, and have different requirements when it comes to storage space. To cater for a variety of customers, and, so you only pay for the space you need, we have a variety of space sizes. Suggestions for storing in various sized Self Storage spaces. e.g. bed, couch, chest of drawers, television, bookshelf, cartons of small items, bicycle, garden tools. Generally suits a one-two bedroom flat/apartment or small home. Furniture and effects from a large two bedroom apartment or medium home. Contents of an average three bedroom home with garage items. Also ideal for a vehicle and other small items. For more information or to chat to a member of our team, please leave your details below.